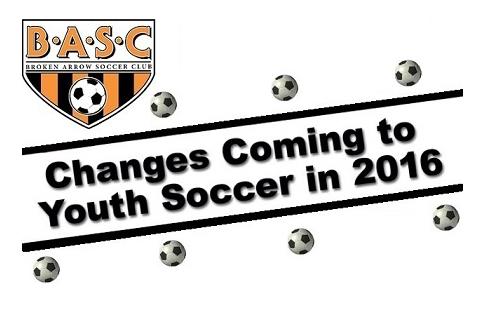 Over the course of the last two years, US Soccer has been working on a consistent youth playing format for all members. They have developed the US Soccer Player Development Initiatives, which are available in the links below. These initiatives are approved by US Soccer. More information will be given at the BASC Town Hall meeting on May 26th @ 7:30PM. Meeting will be held at 1001 S. Main St. Broken Arrow.